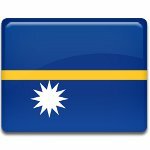 National Youth Day in Nauru is celebrated on September 25. It is designed to honor the contributions of the Nauruan youth to the country's development and raise awareness of important youth politics issues. The Republic of Nauru is a small island country in Micronesia. Its population is about 9,300 residents (as of July 2011). The median age of the country's population is 21.5, so young people constitute a considerable part of the population. In the Nauru National Youth Policy 2008 – 2015, the term “youth” is defined as all people between the age of 15 and 34 years. National Youth Day in Nauru is marked with the events and activities of different kinds, but special emphasis is laid upon sports games and competitions. The matter is that Nauru has the world's highest percentage of overweight and obese inhabitants, therefore promotion of healthy lifestyle among youth is considered very important. Many events are also aim at raising awareness of youth unemployment. Youth Day activities and events are primarily organized by the Nauru National Youth Council, which consists of representatives of different NGOs.